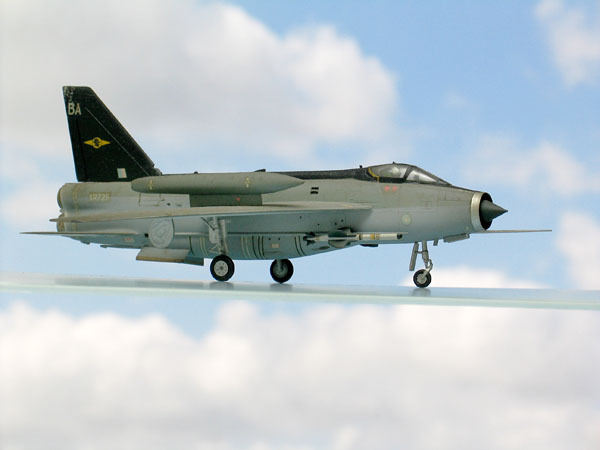 Is it possible for a static aircraft model to fly? sure, it is possible... in a photograph. 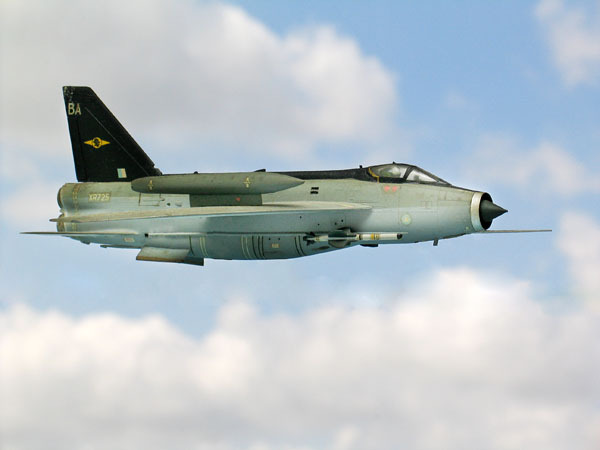 We are now in digital age where photograph can be manipulated digitally using computer software, and of course, it can make your model aircraft to fly too. This method requires a natural background, easier to create than the Multiple image super-imposed, but its composition will be limited. The model should be put in front of a natural or artifical background (such as a landscape, large photo or monitor screen). Then it is photographed. The model itself can be sustained in a sheet of carton or any other flat surfaces between two boxes as a pillars to escalate the surface. 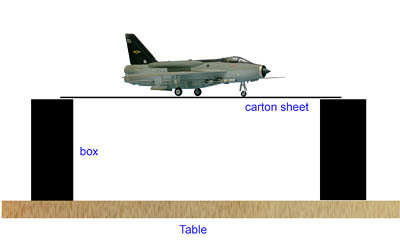 This method of placement will be limited to a sideview pictures in order to make the carton sheet seen at its minimum in the photo. 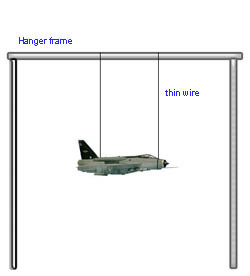 Another method is to hang the model using a very thin wire. This method gives more flexibility to arrange the position of the aircraft, and the camera angle will not be limited to only sideview. But it has its own shortcomings; will need more computer works to eliminate the wire in the plane's body. If you choose to do this method, do not use thread or any fabric material to hang the craft, but use wire. Because a thin wire will be less showing in a photo, and it able to sustain more weight than thread with the same thickness. The example below, was created using this method. Since the sky is generally brighter than room lighting, therefore an additional light will be necessary to illuminate the model. In this photograph, a flash bounced to ceiling was used to illuminate the model. This is the final photograph after digitally manipulated. The acrylic sheet was erased using Adobe Photoshop, and so did the aircraft's undercarriage.